Used Textile ReUse and RePurpose Made Easy! Do you have unwanted or excess clothing that you will no longer use or need? 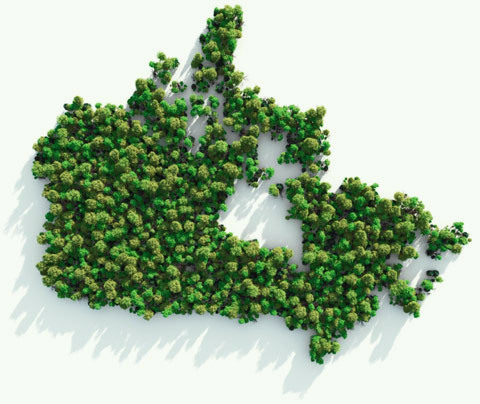 Instead of throwing it away and polluting the Earth, we can assist you to get rid of it and in the process together help people locally and around the globe. All you have to do is to drop it off in one of Green Inspiration BC’s collection bin containers and we will take care of the rest. 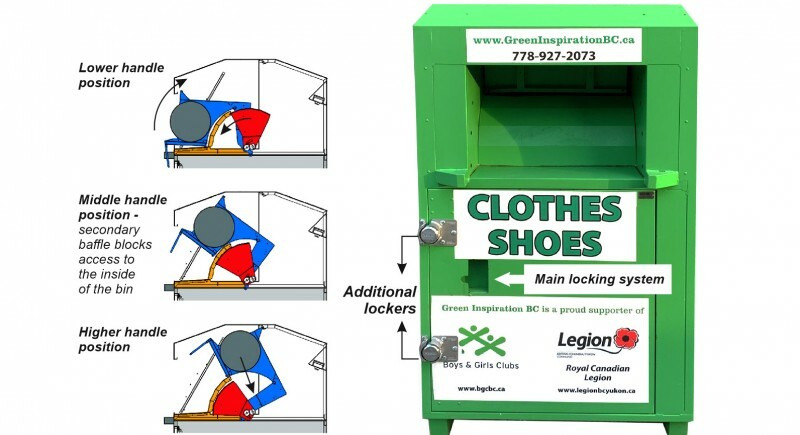 Green Inspiration BC offers an environmentally friendly solution for your unwanted clothing. We collect and process the garments collected in our bins and find ways to reuse them in order to fully utilize them. Clothing in good condition is delivered to some developing countries where locals are given access to more affordable garments. 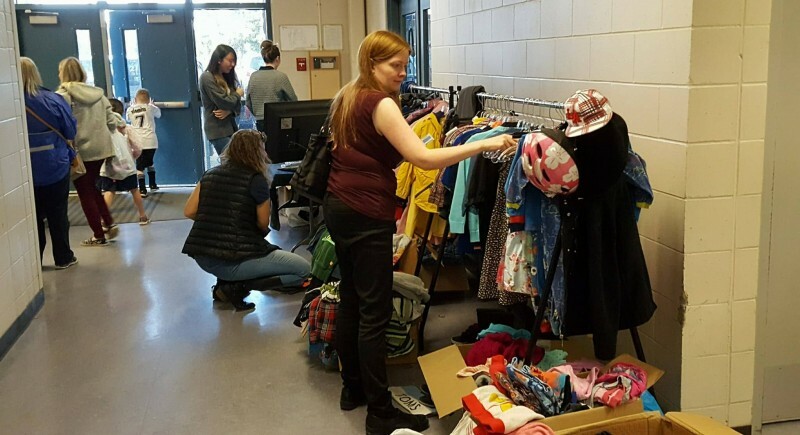 A small portion of the collected items, those that are not in usable condition, are going through the process of recycling giving old clothes a brand new life and reducing the amount of waste going into landfills. Clothing and household textiles make up 5% of the waste stream. Cotton, found in most clothing, is the most pesticide-dependent crop in the world. It takes 1/3 of a pound of pesticides to make 1 t-shirt. Dyeing textiles requires a huge amount of water, and its fixatives often flow into rivers and sewers. Rayon, derived from wood pulp, often relies on clearing forests to make way for water-hungry eucalyptus trees, from which the fiber is derived. 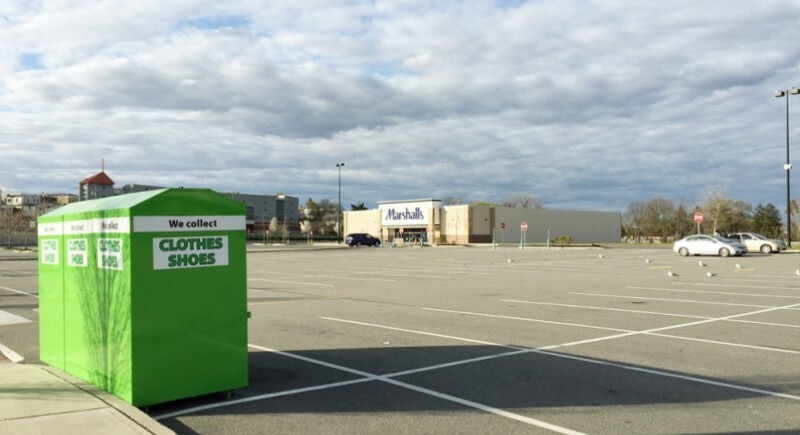 Both nonprofit and for profit bin operators use the same revenue model and the collected clothing runs through the same commercial channels. As a for profit operator, we are able to be more flexible and invest into well trained personnel, better service, more frequent pickups and a customized software. We constantly need to push ourselves to be our best in order to provide much needed resourses to our local charity partners. Without what we do they will be deprived from an important part of their funding; funding that allows them to focus on what they do best-helping the communities we all live in.